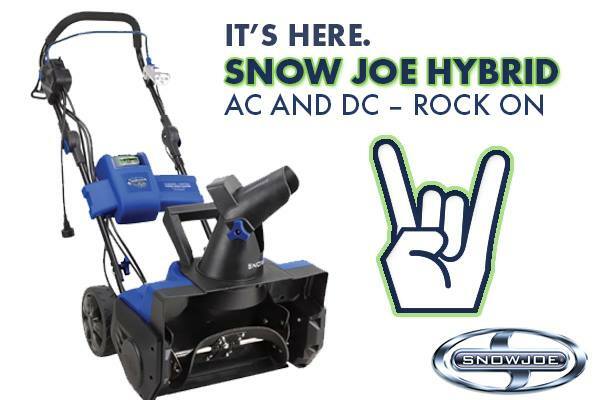 When client Snow Joe told us it was releasing the first snow blower to offer the convenience of corded or battery-powered operation all in one eco-friendly, easy-to-use model – the Hybrid – we knew we had to make a big splash. To celebrate this dual-dynamo, revolutionary rechargeable, we planned “Hybrid Day” to announce the official launch of this snow blowing innovation. "Hybrid Day" was a full-day onslaught of fun and energy, incorporating many facets of both traditional and social media. On the media side, a press release, wire distribution, targeted pitching and technology reviews generated buzz. Online, we had a constant stream of engagement, introducing partnerships with influential YouTube unboxers and bloggers, day-long social media activity including sweepstakes, GIFs, graphics, an adventure with "Snow Bro" and more. The launch of this pioneering product was a great chance for LCWA to explore many ways to really saturate the consumer space with product messaging and express Snow Joe’s focus on power, innovation – as well as its witty, fun and bold voice. Since "Hybrid Day," we’ve continued to secure media placements and build partnerships with social influencers to make sure Hybrid is top-of-mind for anyone in the market for a snow blower this winter!